Is your outdoor space looking a little tired? Here’s how to give your exterior space a makeover without breaking the bank. A newly painted front door can dramatically change the look of your home. The best colour for a door depends a lot on the style of different house designs, but as a guide, traditional homes generally suit high gloss finishes such as rich red or navy, while modern homes suit more contemporary shades from the colour chart, such as warm greys, smoky lilac and teal. 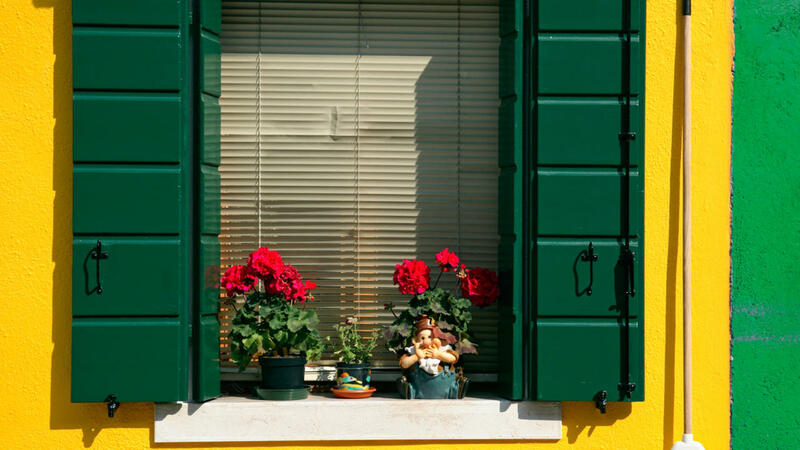 Newly painted shutters, window frames and trim will make a huge difference to how your exterior looks and feels. Or, if you only have an afternoon to spare, why not use leftover exterior paint colours from a previous project to give old pot plants a fresh look? Fill with your favourite plants or cuttings from your existing garden. A colour palette of two or three hues will help you pull off a polished look without overdoing it. A sleek monochrome colour scheme is a great way to add drama without blowing the budget – and makes it easy for you to add colourful decor accents through accessories. Add a bold pick-me-up with soft furnishings in vibrant paint colours and modern prints like stripes and florals. Even a corner of your outdoor area can be made brighter with a splash of colour. Why not try dressing up an outdoor chair with some bright pillows and a striped beach umbrella? A good waterproof exterior paint, like Dulux Pearlglo water-based enamel, fortifies wood against the effects of wind, sun, rain and snow and can even help iron and metal resist rust and corrosion. By refreshing your fence and furniture with a new coat of paint every 2-3 years, you’ll help to strengthen the timber, reducing the likelihood of it needing to be replaced. And, as an added bonus, you’ll always have a colourful backdrop for outdoor festivities.